This be DC Converter Battery 12V to DC 300V. 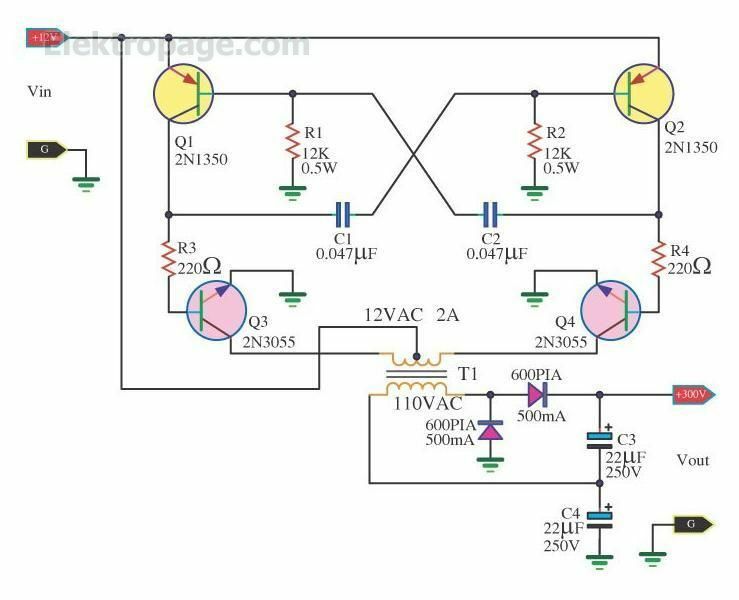 By 2N3055 transistors and 2N1305 are pillar equipment and power transformer transform the sky tallly go up then change voltage regulator rectifier with diode and Capacitors make output have voltage about 300V at Current 55mA. With this circuit a friend can apply the work next. Request have fun , DC Power Supply 300V or DC Converter 300V , please sir.